All of the authors featured here have had experience in school presentations. Salima Alikhan, illustrator of Rocky Mountain Night Before Christmas and Lawyer's Week Before Christmas and author-illustrator of The Pied Piper of Austin, is a former art teacher with experience at several Montessori schools. She grew up listening to wild and imaginative fairy tales and has always been drawn to write and illustrate stories of her own. Now a full-time illustrator, she is happy that her job still allows her to visit schools and spend time teaching and learning about kids. Salima Alikhan’s presentations focus on the life and work of an illustrator and she is happy to modify her presentations for grades 1-12. Rates: : In TX, $300 for 3 morning presentations, $400 for all day (5 presentations max. ), plus the cost of gas if over 50 miles round-trip; $500/day out-of-state, plus travel expenses. She currently lives in Austin, TX. For more information, visit http://www.salimaalikhan.net. Stacy Demoran Allbritton, author of The Diary of Marie Landry, is a former French and English teacher at Salmen High School in Slidell, Louisiana, and the founder of the school’s French club, Le Cercle Français. She has programs on the writing process, the Acadians & Louisiana history, and the French Creoles & Louisiana history. Rates: $100/ presentation (for one or two), $350/ day (four presentations), plus mileage in northeastern Louisiana. $150/presentation or $450/day plus travel and accommodations elsewhere. The author divides her time between Monroe, LA, and Paris, France. For more information, visit http://sdallbritton.weebly.com/. Nancy Kelly Allen, author of Daniel Boone: Trailblazer and "Happy Birthday": The Story of the World's Most Popular Song, is a former primary school librarian and an avid book lover. She offers two presentation options: Kiss Your Brain, a humorous, engaging program for primary students, and The Write Stuff, a full-of-fun program for older students. Both presentations are interactive and discuss the process of creating a book. Rates: $700 per day and school visits are all day. School visits are available in either the Lexington or Louisville area. Visit http://www.nancykellyallen.com for more information. Rick Anderson, illustrator of Racecar Driver’s Night Before Christmas, feels right at home in the classroom after 25 years spent teaching art to thousands of children. He is available for elementary school programs about the life of an artist and his work creating picture books, middle and high school studio sessions, high school illustration workshops, and teacher professional development programs. Rick is included in both the Mississippi Artist Roster and the Art Education Roster and is a member of the International Reading Association. He lives in Clinton, MS. Rates: $500/half-day, $900-1000/full day, plus travel and accommodations. For more information, visit http://www.rickandersonart.com. Dr. H. J. Arrington author of Anansi's Narrow Waist , The Heart of a Friendship (recipient of an Honors Award in the 1997 national Parenting Publications Award) and Friends Again? is an accomplished storyteller and dramatic reader. She is also the author of the 1995 Heath Literacy reading series and currently consults with schools and organizations, both privately and through National Faculty. Dr. Arrington currently resides in Big Stone Gap, VA. Rates: $500.00/day plus expenses. Lesley Pratt Bannatyne, author of Witches' Night Before Halloween, A Halloween Reader: Poems, Stories, and Plays from Halloweens Past, A Halloween How-To: Costumes, Parties, Decorations, and Destinations, and Halloween: An American Holiday, An American History, is a leading authority on Halloween and has worked for 30 years as a freelance writer. Her presentations include "What does an author do?" and "Halloween history & trends" and can be modified to fit any age group. Rates: $100/presentation, $250/day (3 presentations), plus expenses, in the greater Boston area; $150/presentation, $400/day (3 presentations), plus expenses, elsewhere. The author currently resides in Somerville, Massachusetts. Visit http://www.people.fas.harvard.edu/~bannatyn for more information. Carol Benioff is a talented artist and a native of San Francisco. Benioff was awarded the Communication Arts Award in 1995 for Excellence in Illustration. Her vivid and colorful artwork brings life to Steven Layne’s Preacher’s Night Before Christmas, a heart-warming story of the true meaning of Christmas. She is happy to adjust her presentations to fit all grade levels (k-12). Carol Benioff loves to share the process of creating a story with pictures, and likes to discuss her own inspirations in the hopes of getting children to discover theirs. Rates: $200/half day, $500/full day, plus expenses. 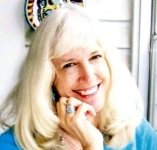 Deborah Blumenthal is an award-winning journalist and nutritionist as well as the author of Aunt Claire’s Yellow Beehive Hair, which has illustrations by Mary GrandPre, of Harry Potter fame. In her presentations, the author will discuss with students how she gets ideas, how she creates the characters and the plot, and how picture books have their own special language. She brings visuals to show how a picture book evolves from copy on paper to complete book. Blumenthal resides in New York City. For more information, visit http://www.deborahblumenthal.com. The author is available to visit state reading and library conferences as well as schools and hold readings and writing workshops. Fees and travel expenses should be arranged with the author. Al Bohl, author of Guide to Cartooning and Guide to Cartooning: Teacher’s Guide, teaches cartooning classes through the Continuing Education Department of Louisiana State University, Shreveport. His numerous presentations instruct teachers as well as students and are held in classrooms as well as libraries. His programs illustrate various drawing techniques, discuss the history of cartooning, and answer questions about job and educational opportunities. His book has been adopted by the Arkansas and Oklahoma state Departments of education as a textbook for high-school-level art classes. Rates: $400-$500/day plus expenses. Mr. Bohl resides in Bossier City, LA. 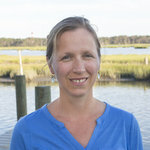 Katy Bratun is an experienced author and the illustrator of 30 picture books, who has been visiting schools since 1993. She has also taught drawing and art classes at the Art Institute of Boston, Peabody Essex Museum, and Worcester Art Museum. Katy's energetic school presentations are designed to show the magic that can happen when words and pictures paint a story. She has several programs to choose from and adapts them to grade level. Rates: $650/day for visits within driving distance; lodging and travel expenses are requested when necessary. Katy lives in Salem, MA. For more information, visit http://www.katybratun.com. Elizabeth Brokamp grew up in her mother's independent bookstore, so she was born to love books! She’d be happy to bring her enthusiastic take on reading and writing to your classroom. The Picky Little Witch is her first picture book; she is also the author of the chapter book The Circle of Three. Rates: $100/half-day, plus expenses. Programs are adaptable for K-6. For more information, visit http://www.elizabethbrokamp.com. The author lives in Alexandria, Virginia. An author, editor, and book developer, Tricia Brown has written nearly thirty books among them nine books for children, including Alaskan Night Before Christmas and Musher’s Night Before Christmas. Tricia is happy to adapt her programs to fit almost any age group and loves encouraging students to write and/or illustrate their own stories. Presentation topics include The REAL North Pole, Growing Up in Alaska, How a Book is Born, the Iditarod Trail Sled Dog Race, and Alaskaâ€™s Native peoples and their art. Though she now lives in Oregon, Tricia lived and worked in the Far North for more than two decades. An expert on Alaska history, Native cultures, and natural history, Tricia frequently travels to Alaska for research and speaking engagements. She makes school visits all over the country. Rates: $250/half-day; $500/full day, plus expenses. For more information, visit http://www.triciabrownbooks.com. Dori Butler is the author of F is for Firefighting and P is for Police. This award-winning author always dreamed of becoming a writer, and she made her dream come true! She has written a dozen titles for children, and is happy to visit schools and share her love of reading and writing with students and teachers. 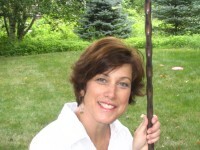 Dori is available for both group presentations and small group writing workshops. Rates: $750/day (plus expenses) within 75 miles of Coralville, Iowa or $1000/day (plus expenses) for distances greater than 75 miles. She gives a maximum of 4 presentations per day. To learn more about Dori, visit her website at http://www.kidswriter.com. Candace Camling, illustrator of The Twelve Days of ChristmasIn Texas, That Is, teaches children’s classes at Des Moines Art Center. Presentations involve introducing herself, briefly explaining the work of an illustrator, and presenting her book. Students will then complete an art project, illustrating their own 12 Days of Christmas story. Presentations are flexible and can be tied to what students are currently working on in class. Rates: $150/half-day, plus expenses. The illustrator llives in Des Moines. For more information, visit www.candacecamling.com. Jean Cassels is an acclaimed illustrator and a teacher at the New Orleans Academy of Fine Arts. Cassels has received such honors as the Golden Kite Award for Best Illustrated Children’s Book and the LSU Giverny Award, among others. Presentations focus on the life and work of an illustrator, emphasizing research and hard work. Rates: $300/presentation in the New Orleans area. For more information, visit http://jean-cassels.com/. Melanie Chrismer, children's author and active SCBWI, Women Writing the West, and Texas State Reading Association member, is the author of Phoebe Clappsaddle Has A Tumbleweed Christmas, Phoebe Clappsaddle and the Tumbleweed Gang, Phoebe Clappsaddle for Sheriff, Chacalaca Chiquita and most recently, Lone Star Legacy. Chrismer writes for ages 4-14. She has been published in curricula and magazines, and her stories emphasize imagination. Presentations include "Tall-Tale Talk" (featuring the Phoebe Clappsaddle picture book series) and "Pull a Story Out of Thin Air" (creating a story). Rates: $475/half-day, $700/full-day in Texas; $750/day out of state. Melanie Chrismer lives in Houston, TX. Visit http://www.melaniechrismer.comfor more information. Kathryn Cocquyt is the author of Little Freddie at the Kentucky Derby and Little Freddie’s Legacy. She has drawn on her experiences working at Santa Anita and Del Mar race tracks as a stable hand to create stories about making big dreams come true. In her presentation she uses the fictional horses in her books as well as real lives of great race horses to illustrate, “If you can dream it, you can do it. If you can imagine it, you can achieve it.” She also discusses the writing process and how either through words or deeds we write our unique story in the ledger of our daily lives. Rates are $250/half-day, plus expenses. This includes three (3) 45-minute presentations plus book signings. The author currently lives in Moorpark, CA. Sheila Hébert-Collins, registered on the Louisiana State Artist Roster as an author and storyteller, is the author of Les Trois Cochons, Jolie Blonde and the Three Hébert: A Cajun Twist to an Old Tale, Cendrillon: A Cajun Cinderella, Petite Rouge: A Cajun Twist to an Old Tale, 'T Pousette et 'T Poulette: A Cajun Hansel and Gretel, Blanchette et les Sept Petits Cajuns: A Cajun Snow White, Jean Paul H&ecacute;bert Was There, and her latest title, Jacques et la Canne a Sucré. In her presentations, she incorporates samples of children's work, Cajun music, and a demonstration of the Cajun two-step. Sheila lives in Lafayette, and has visited over 240 schools since 1993. Rates: $300/half-day (2 programs) plus expenses. 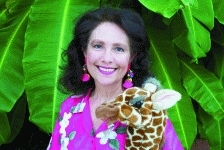 Cecilia Casrill Dartez, author of the Jenny Giraffe Series, L is for Louisiana, The Louisiana Plantation Coloring Book, and A Marmac Guide to New Orleans, is a former elementary school teacher and a member of the prestigious international teachers’ organization, Delta Kappa Gamma. She is also the photographic illustrator for L Is For Louisiana. Ms. Dartez is listed on the Louisiana Artist Roster as a storyteller and author. Presentations are age and subject appropriate. Rates: $300/half-day and $600/whole day. Ms. Dartez resides in New Orleans, LA. David Davis is an accomplished cartoonist, author, and presenter. He has authored many Pelican books: The Redneck Night Before Christmas, The Truckers’ Night Before Christmas, The Nurse’s Night Before Christmas, The Librarian’s Night Before Christmas, Ten Redneck Babies, Jazz Cats, Texas Zeke and the Longhorn, Rock 'N' Roll Dogs,Texas Mother Goose, and A Southern Child’s Garden of Verses. 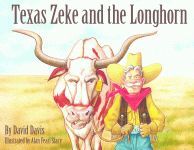 Mr. Davis is available for two-for-one school visits and professional presentations, along with Pelican author Jan Peck. Their interactive, humorous presentations will get students fired up about reading and writing. Rates on request. Mr. Davis resides in Fort Worth, TX. Visit www.davidrdavis.com for more info. Dianne de Las Casas, author of The Cajun Cornbread Boy, Madame Poulet and Monsieur Roach, and Mama’s Bayou, is an award-winning storyteller who is listed on the Louisiana State Artists’ Roster, the The Louisiana Touring Artists’ Directory, and the Mississippi Arts Education Demonstration Roster. Through the use of character voices, animated facial expressions and gestures, Dianne creates a world of enchantment that mesmerizes her young audiences. Performances are enhanced with colorful backdrops and a professional sound system. Dianne’s delightful programs are perfect for school, library, and family venues. Dianne has many programs available for PK-8th grade as well as educator workshops. Rates available upon request. For more information, visit http://www.storyconnecttion.net. Gene Del Vecchio has put his kid-marketing savvy into practice with his two novels for young adults entitled The Pearl of Anton and The Sword of Anton. Throughout his career, Del Vecchio has conducted hundreds of studies with children and has developed ideas for toys, food, cartoons, promotions, and screenplays. An award-winning competitor in the field of advertising, he has made great strides in his field and is embarking on this new adventure in YA fiction. Mr. Del Vecchio is available for your classroom enrichment. Rates available upon request. He has presentations on both his business and fiction books. He currently resides in Valencia, CA. Jana Dillon, author and illustrator of Upsie Downsie, Are You Asleep?, Lucky O’Leprechaun, Lucky O’Leprechaun Comes to America,and Lucky O’Leprechaun in School as well as illustrator of Wanda Dionne’s Little Thumb, is back in New England, where she is one of the most requested and respected children’s book creators. Her popular school program is inspirational and motivational. Jana, a former teacher, explains how a book is created from brainstorming to finished product and shows children how to improve their own writing. Her rates for "Children as Authors" presentations are $650 for a full day (up to 6 presentations), $400 for a half day (1-3 presentations). The Writer’s Workshop fee is $500. The author lives in Danvers, MA. For more information, visit http://www.janadillon.com. Johnette Downing is a multi-award-winning singer/songwriter and author who performs original children’s music inspired by her Louisiana heritage. Let her help you bring some excitement into the classroom with her enthralling programs! Johnette’s programs are adaptable for Pre-k-3rd grade. She’ll show your students that “reading rocks!” Johnette is also available for educator workshops. Rates available upon request. For more information, visit http://www.johnettedowning.com. Johnette lives in New Orleans, LA. 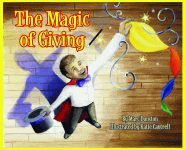 Marc Dunston is the author of The Magic of Giving and host of The Magic Marc Show, a television program that teaches children manners, giving, kindness, and goodness. Marc’s interactive presentations combine magic and education. Featuring live animals, great illusions, music, and comedy, there’s something to amuse and mystify everyone! Each presentation has a theme worked in, so students are learning as they watch. Themes include showing respect, studying for tests, following directions, dealing with bullying, being generous, and more. Let Marc know what topic is best for your students. Rates: $1200-1400 per presentation, plus travel expenses. Magic Marc currently lives in Hardeeville, SC. For more information, visit www.magication.com. Dotti Enderle, author of the hilarious tales The Fat Stock Stampede at the Houston Livestock Show and Rodeo, The Cotton Candy Catastrophe at the Texas State Fair, Granny Gert and the Bunion Brothers, and Gingerbread Man Superhero!, and the chapter book Hidden, has a selection of programs to choose from, catering to every age group. As a professional storyteller, Dotti has entertained at numerous schools, libraries, museums and festivals since 1993. She’ll spin interactive stories, discuss the ups and downs of being an author, or share some secrets of storytelling. Dotti is the ideal author to have during the Texas State Fair, or any time of the year. Rates: available upon request. For more information on Dotti, visit http://www.dottienderle.com. Freddi Williams Evans is the author of The Battle of New Orleans: The Drummer’s Story. Her desire to write grew out of an urge to share family stories as well as the untold and "under-told" stories of other African Americans. Ms. Evans’s presentation will help history come alive for your students and will illustrate the role of a drummer in the Battle of New Orleans. As an artist, therapist, educator, and administrator, Mrs. Evans has worked with children of all ages and exceptionalities in various public and private settings, and is well equipped to give an enthralling and educational presentation. Rates: available upon request. Freddi Evans is a native of New Orleans, LA. Stephanie Ford is an illustrator, educator, and Civil War enthusiast, with a love for art and teaching. Ford has been a regular participant in reenactments since she was in high school. She gives presentations to reenactors and historical societies on a number of subjects, including sharpshooters, women's roles in the war, dress in the nineteenth century, and frontier life in Texas. She also gives art presentations and workshops to artists' guilds and schools as well as teaching high school art and English in Texas. Rates: $300/day, plus expenses. The illustrator lives in Barry, TX. For more information, visit http://www.stephaniehford.com/." Chester Freeman is one of this country’s premier teddy-bear makers. His work has been featured on the covers of Teddy Bear Review and Teddy Artists. Other prestigious magazines, including Teddy Bear and Friends and Country Living, have singled out his artistry on their pages. Mr. Freeman gives presentations and writing workshops in schools, promoting his book, Runaway Bear. He has several programs to choose from, for both children and adults. Rates: $250/single lecture, $300/half-day, $400/full day, plus expenses. Mr. Freeman lives in Geneva, NY, but also travels to North Carolina several times a year. Chuck Galey is the owner of Chuck Galey Illustration. He contributes to magazines, corporations, and advertising clients nationwide and has illustrated more than 30 books, including SantaSaurus by Delano Holmquist, My Brother Dan’s Delicious by Steven L. Layne, The Cotton Candy Catastrophe at the Texas State Fair and The Fat Stock Stampede at the Houston Livestock Show and Rodeo by Dotti Enderle, Jay and the Bounty of Books by Randall Ivey, and Jazz Cats and Rock 'n' Roll Dogs by David Davis. Mr. Galey is well-known in schools and libraries across the state of Mississippi and throughout the nation for his lively and fun-filled presentations for children. Rates: $750 per day plus expenses. Mr. Galey resides in Jackson, MS. Visit www.chuckgaley.com for more info. Sherry Garland, the nationally award-winning author of more than 25 books, including Voices of the Alamo, Best Horse on the Force, The Buffalo Soldier, and Voices of Gettysburg, is a writer with impressive credentials - ALA Notable, Texas Bluebonnet List, Reading Rainbow, Texas Lone Star List, and BBYA all agree that her work is excellent fare for young minds. Ms. Garland writes about many topics, from Vietnam to Texas history. She offers several school presentations: the making of a children’s book, Texas history, the writing life, Vietnam, and writing workshops. For a list of current fees and other details, please visit: www.sherrygarland.com. Marita Gentry, illustrator of The Cajun Cornbread Boy and Madame Poulet and Monsieur Roach, is a professional painter and teacher whose love for color shines through in her work. She regularly gives presentations, demonstrations, workshops, and seminars to groups of all ages. Marita is available for illustrator visits for schools and libraries, artist-in-resident programs for schools, and educator workshops. Rates: Illustrator visits: $250/ half-day (up to three 30-minute presentations). Travel expenses are additional. Educator workshops: Fees for an in-service of up to three hours are $500 plus all supplies. Artist-in-Resident programs: $40/hour. Travel expenses are additional. These programs generally last 3-9 weeks. For more information, visit http://www.studiomarita.com. Carole Gerber is listed with the Greater Columbus Arts Council as an artist in the schools. She has written over 100 elementary reading and science texts and over 15 children’s books, including Annie Jump Cannon, Astronomer. Carole is very flexible in her presentations, which can include sharing her books and answering questions, explaining how a picture book is made, a funny and enlightening slide show about the creative process, and more. Rates: $750/day (up to 5 presentations). For more information, visit http://www.carolegerber.com. Jacqueline Dembar Greene, author of Nathan’s Hanukkah Bargain, has visited schools, libraries, book fairs, parent-child book groups, and professional conferences throughout the United States and Canada. She speaks to student audiences from kindergarten through eighth grade and presents programs and workshops to college classes and adult groups. Each program is specifically designed for the interests and ages of the audience, and no two programs are alike. Rates are available upon request. The author lives in Wayland, MA. For more information, visit http://www.jdgbooks.com. 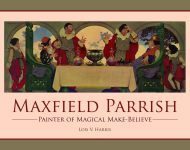 Lois Harris, author of Mary Cassatt: Impressionist Painter, the award-winning Charlie Russell: Tale-Telling Cowboy Artist, and Maxfield Parrish: Painter of Magical Make-Believe is an experienced speaker and writer. She earned a B.A. in English and Creative Writing and is a member of the Society of Childrenâ€™s Book Writers and Illustrators and The Authors Guild. Lois enjoys doing school and library visits to encourage children to read and write and to follow their dreams. Through her inspiring interactive presentations, students learn about art, history, and writing. She tailors her presentation to suit the audience and if desired, a reading and colorful PowerPoint show of art images and historical photos may be included. Rates: $400/day (3 presentations), plus expenses. For more information, visit http://www.loisharris.net. Sandra Horning, author of The Biggest Pumpkin, and several other award-winning picture books, combines her love of children, education, and writing into presentations for students in grades K-5. Programs are tailored for specific graded and always include an activity related to one of her books. Younger grades will learn about the process of creating a picture book, from story idea to published product. Presentations for older grades focus more on the role of revision in the writing process. Rates: $250/ single program; $450/ half-day (2 programs); $850/ full day (5 programs). For schools more than 50 miles from Chaplin, CT, additional expenses (travel, lodging, meals) may apply. For more information, visit . Cathren Housley, illustrator of The Christmas Cats, is a graduate of the Rhode Island School of Design with a degree in children’s book illustration. She is also listed on the Rhode Island State Council on the Arts’ education roster, and she is certified by the council to create and run educational art programs in the public schools. Cathren Housley is available for picture book workshops for all grade levels. Rates: $150/presentation, plus expenses. She lives in East Providence, Rhode Island. For more information, visit www.cathrenhousley.com. Layne Johnson’s fun ideas and high-energy approach make him a perfect choice for any school looking for an educational and entertaining speaker who will make a difference in their students’ creativity. Layne is the illustrator of numerous picture books, including The Declaration of Independence from A to Z. He has four great programs to choose from, which are adaptable for elementary and middle school students. Rates: $1,000 per day (3-4 sessions), $250 for evening sessions, plus reasonable travel and lodging expenses. If 3 or more days booked in the same area, lodging expenses waived. For more information, visit www.laynejohnson.com. Layne Johnson lives in Houston, TX. 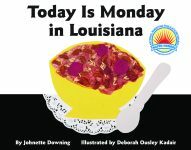 Deborah Kadair-Thomas is the illustrator of 4 books by author Johnette Downing, including Today is Monday in Texas and the author and illustrator of There Was an Ol' Cajun, Grandma's Gumbo, and her latest, I Spy in the Texas Sky. Trained in the Montessori teaching method, Mrs. Kadair-Thomas conducts storytelling and illustrating workshops for children. She has been teaching for 25 years, and is happy to tailor her programs to meet your needs. Rates are available upon request. Mrs. Kadair-Thomas now lives teaches art in Georgetown, TX, but often travels back to her home state of Louisiana. Laurie Lazzaro Knowlton, a former teacher and author of Nana’s Rice Pie, Why Cowboys Sleep With Their Boots On, Why Cowboys Need a Brand, Why Cowboys Need a Pardner, Why Cowgirls Are Such Sweet Talkers and Red, White, and Blue, has traveled all over the United States humoring children with stories and antics she used to get out of reading as a child. Since Ms. Knowlton had difficulty reading and learning in school, she offers students her enthusiasm and encouragement through interactive, age-appropriate programs. Rates: $850/day plus expenses. Ms. Knowlton resides in Medina, OH. Visit www.laurieknowlton.com for more information. Virginia Kroll, author of The Thanksgiving Bowl, is an experienced presenter and a prolific writer, with a long list of awards to her name, including the 1998 Benjamin Franklin Silver Award, the Bank Street College Best Children’s Book of the Year in 2004, and the IRA/CBC 2004 Children’s Choice Award. Let Virginia know what kind of presentation will work for you and your students! She is very flexible and presents on a wide range of topics to all age groups. Rates: $1000/day, $500/half-day, plus expenses. Ms. Kroll lives in Hamburg, NY. 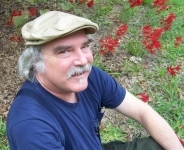 Joe Kulka is an award-winning author/illustrator. His latest book is The Rope, and he has also illustrated Granny Gert and the Bunion Brothers and Gingerbread Man Superhero!, by Pelican author Dotti Enderle. Mr. Kulka presents an interactive slide show demonstrating the process he goes through to create his illustrations. His program also discusses aspects of writing, and how drawing and writing go together to create a complete story. Students will jump into Mr. Kulka’s “studio” as he demonstrates the stages of an illustration, from sketches to the final art, and shows students how long the process can take. Rates: $375/half-day (up to 2 presentations), $600/full day (up to 3 presentations), plus expenses. Mr. Kulka lives in Quakertown, PA. For more information, visit http://www.joekulka.com. Alison Hoffman Lane, author of Uncle Arnel and the Swamp Witch, is available for school and library visits. Mrs. Lane loves to share her Cajun stories and creative process with children. Through a PowerPoint presentation, Alison will introduce students to the “swamp critters” featured in her book. Students will learn fun facts about these native species, and the author will discuss her inspiration for the story. Presentations last 30-45 minutes and are best suited for grades K-5. Rates: $150/ half-day, plus any travel expenses. The author lives in New Orleans, LA. For more information, visit http://www.unclearnel.com. Kathryn Lay, author of Josh's Halloween Pumpkin, loves doing school visits to talk to students about writing. She will talk with students about how she went from a 3rd grade future-author to a published author of 29 books and hundreds of magazine pieces. Through a PowerPoint or overhead presentation, students will see and learn about real giant pumpkins, how Kathryn grew her writing dream since the 3rd grade, and the process of ideas, writing, and publishing children's books. Rates: $200/single program; $350/half-day (2 programs); $500/full day (3 programs). For schools more than 45 miles from Fort Worth, TX, additional expenses (travel, lodging, meals) will apply. Out-of-state visits: $700/day, plus expenses. Kathryn Lay lives in Arlington, TX. For more information, contact her at rlay15@aol.com. Dr. Steven Layne is an acclaimed writer and speaker and the author of 12 books for Pelican Publishing Company. His eight picture books include two Thomas’s Sheep books, three Night Before Christmas books, and more. This Side of Paradise, Dr. Layne’s first young adult tale, won the Hal Clement Award for outstanding YA science fiction in 2001 and his picture book My Brother Dan’s Delicious, illustrated by Chuck Galey, was a 2004 Children’s Choices Book. Dr. Layne is also the author of two works of poetry, Verses for Dad’s Heart and Verses for Mom’s Heart. Rates: $1,500-$2,200 plus expenses. Visit http://www.stevelayne.comfor more information. Dr. Layne travels nationally and internationally for school visits and conference appearances. B.J. Lee, author of There Was an Old Gator Who Swallowed a Moth, is a picture book author, award-winning poet, musician and former piano teacher. She enjoys getting kids excited about the writing process using story, poetry and music. Ms. Lee is a former Music Librarian at the Boston Conservatory and taught piano for many years. She has a BA in English and an MS in Library and Information Science. She offers visits for group assemblies, From Idea to Publication Pre-K Through 5, and visits for smaller group writing workshops Creating Larger Than Life Characters and Exercise Your Imagination Through Poetry. Her assemblies and workshops recognize the Common Core state standards, especially as they apply to language arts. Skype visits also available. Contact author at bjlee@childrensauthorbjlee.com for more information. Illustrator Betsy LePlatt is very grateful to be able to use her creativity to make a living, and would be delighted to come to your school. Betsy will present to students the life of an illustrator, including how she got started in the industry, showing some of her early work, and discussing the illustration process and how the illustrator can add to the story of a picture book. She will also read Mosquito and present some fun mosquito facts. Betsy is also available for workshops in which students can create their own storybooks. The illustrator lives in Chanhassen, MN. Please contact the author for rates. visit http://www.betsyleplatt.com. 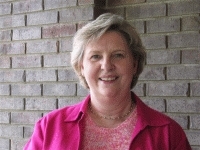 Carolyn Macy is a retired educator having 35 years of classroom experience. With a Masters of Natural Science and a Bachelor on Biology and Commerical Art, she has taught both elementary and secondary classes in these areas, as well as substituted in a college art class. She has also helped write cirriculum in her previous public school district. Presently she has authored and illustated five children's picture books, including Hawaiian Night Before Christmas published by Pelican in 2008. Now working on her sixth book, she enjoys traveling and doing school visits throughout the school year. Rates depend upon the duration of the visit and distance from her Norman, Oklahoma home. Janeen Mason is a colorful author/illustrator who received the U.S. Maritime Literature Award for her book Ocean Commotion: Sea Turtles. She has also illustrated five lively stories written by Jan Day. Mason serves as a member on the Florida Arts Council, works as the Illustrator Coordinator for the Society of Children’s Book Writers and Illustrators in Florida and co-hosts a live radio program on the arts. She is a popular speaker at schools, libraries and conferences. An exhibit of Janeen Mason’s original children’s picture book illustrations is scheduled to open at the Miami Children’s Museum in the Spring of 2009. Ms. Mason resides in Stuart, Florida. Fees: $700 per day plus expenses. Visit http://www.janeenmason.com for more information. Denise Walter McConduit, author of D.J. and the Jazz Fest, D.J. and the Zulu Parade and D.J. and the Debutante Ball, has always written to preserve the memories of events in her family’s life. In her fun-filled presentations, she displays cultural artifacts from both the Zulu parade and the Jazz Fest. In her latest book, D.J. and the Debutante Ball, D.J. learns all about manners in preparation for his sister’s debutante ball. Mrs. McConduit’s program is very flexible and includes discussions on becoming a children’s book author, how a book is made, discussions about etiquette, and a reading of a story. Rates: $400/half day, $700/full day, plus any travel expenses. Tom McDermott, author of The Ghouls Come Haunting One by One, is a popular storyteller, singer, and speaker who performs at schools and in festivals across the country and abroad. Tom has a variety of programs available, including “No Such Thing As Ghosts,” “A Time to Listen, A Time to Tell,” “The Luck of the Irish,” “The Silent Drum-Stories and Musical Instruments,” and “Voices on the Wind.” Rates: $750/full day (4 presentations), $500/half-day (2 presentations). Expenses such as mileage, airfare, lodging, and meals are additional outside of a 75-mile radius of Fort Worth, TX. For more information, visit http://www.tommcdermott.com. Liz McGrath is the illustrator of The Ghouls Come Haunting One by One. She is happy to tailor a program to meet your needs. Liz McGrath prefers to work with smaller groups so she can incorporate a hands-on art activity that builds on the counting in the book and geometry (shapes) used to create the illustrations. Presentation length varies by grade level. McGrath lives with her husband and daughters in Providence, RI. For more information, visit http://www.lizmcgrathillustrations.com. Margaret McManis, author of The Wild Texas Stampede!, has had 28 years experience in school libraries in and around the Houston area. She is happy to present to grades K-5 in small groups or large (up to 150 students). She has several programs to choose from, including Ima Gonna Win This Race!, Was There a Real Ima Hogg?, and Ima Hogg Tea Party. Students will learn about the real Ima Hogg as well as fun facts about some of the animals in the book. Rates: $200/presentation, plus expenses. Margaret McManis lives in Conroe, TX. 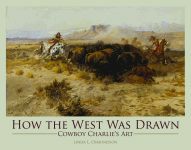 Linda L. Osmundson, award winning author of the series How the West Was Drawn: Cowboy Charlie’s Art, Frederic Remington’s Art and Women’s Art , also writes magazine articles. She taught elementary school and served as a docent in four major art museums and two galleries. Linda’s interactive PowerPoint presentations serve grades K-12, and includes a display of western artifacts with a discussion of their uses. Osmundson lives in Fort Collins, Colorado. Rates: $400 a day (4 presentations), plus travel and accommodation expenses. For more information, visit http://www.lindaosmundson.com. Catherine Osornio, author of The Declaration of Independence from A to Z, is passionate about children’s education. She homeschooled her own children for several years, assisted in developing a reading program for a private school, and is currently an elementary school librarian for a National Blue Ribbon school in southern California. She writes fiction and nonfiction for children and adults, enjoys cartooning, and works part-time as a freelance editor and proofreader. Catherine would love to come to your school to talk to your students about the history behind her book or about writing and how it can become a successful career. Rates: $300/half-day (up to 3 presentations), plus expenses. The author lives in Walnut, California. For more information, visit catherineosornio.com. Sydelle Pearl, author of the original collection Elijah’s Tears: Stories for the Jewish Holidays and Books for Children of the World: The Story of Jella Lepman, is also a professional storyteller and songwriter. In the classroom, Ms. Pearl will engage students by telling stories from her book as well as traditional Elijah tales and stories from other cultures featuring acts of kindness. She will also engage audiences in creative writing exercises and discuss her journey to publication. Rates are negotiable. Ms. Pearl resides in Pittsburgh, PA. For more information, visit www.storypearls.com. Jan Peck, author of Pirate Treasure Hunt! and Way Out West on My Little Pony, is available fro two-for-one author visits with fellow Pelican author David Davis. They present a program to reach every student. "Our goal is to put on the most entertaining, inspiring, motivating school program you've ever had!" Both authors are members of SCBWI and have presented at many schools, libraries, and conferences throughout Texas and beyond. All programs are interactive, flexible, and tailored to the specified age groups. Rates available upon request. Visit www.janpeck.com for more information. 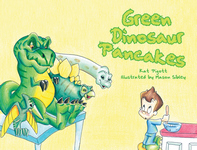 Kat Pigott, author of Green Dinosaur Pancakes, is available to present her interactive Imagine! mini workshops. These workshops include dinosaur history lessons, creative and collective writing, improvisation exercises, art activities, contests, and book readings. Make your own dinosaur pancake cooking labs may be set up where locations allow. Designed to expand the little ones' imagination, these exercises will take your student to the place where imagination lives, and spark their desire for reading and writing. A member of SCBWI, Kat is sure to be a memorable part of your school year. All presentations are adaptable to fit the ages of audience and fees are negotiable with the author. Contact the author at kat@katpigottbooks.com for more information. Virginia Pilegard is the author of The Warlord’s Series of books, including The Warlord’s Puzzle, The Warlord’s Beads, The Warlord’s Fish, The Warlord’s Puppeteers, The Warlord’s Kites , The Warlord’s Messengers, and The Warlord’s Alarm, and The Emperor’s Army. 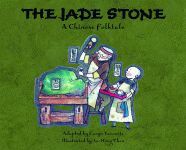 Each story, set in ancient China, explores math concepts through storytelling in a refreshing, instructional manner. Virginia Pilegard’s school presentations explore the Tang Dynasty culture of China as well as research techniques and the creative process. For smaller groups, she will also lead students in a craft inspired from one of her stories. Rates: $500/half-day and $600/full day plus expenses. Rickey E. Pittman, Bard of the South, is an award- winning author, storyteller, songwriter, and folksinger. He is the author of more than a dozen books and five music CDs. Know for his “ Songs & Stories” programs on state history and the Scots & Irish, Pittman is a tireless performer, making presentations and conducting workshops at schools, libraries, festivals, organizations churches and other venues througout the nation. Fee: $500/day. ( In most cases author pays his own travel and lodging.) Visit http://www.bardofthesouth.com. Email : rickeyp@bayou.com Cell: (318) 547-2906. Award-winning author Lynn Sheffield Simmons is one of our many Texas authors. Mrs. Simmons lives in Argyle, TX, where she is very active in literacy initiatives and education. She and her husband have coordinated the North Texas Book Festival for many years. Her titles include Sugar Lump the Orphan Calf, Bo the Famous Retriever, Bo and the Night Intruder, Bo and the Missing Dogs, and Jack Crow Said Hello. Mrs. Simmons is available for classroom visits. Her fee is $300 for 2-3 presentations a day plus expenses. J. Jaye Smith, author of Batty About Texas, loves to share bat facts and information on writing with young Texans in programs at local schools and libraries. As a former educator and mother of three, J. Jaye Smith feels very much at home in the company of children. Presentations are best suited for grades K-5, and topics include discussions about reading and writing, discovering one’s inner creativity, conservation, native wildlife, and following one’s dreams. Rates: $125/presentation in the Austin area. Rates for other areas available upon request. For more information, visit www.jjayesmith.com. Debra West Smith is the author of the Hattie Marshall series, Yankees on the Doorstep: The Story of Sarah Morgan, and Young Heroes of the Confederacy. She currently lives on a hill in middle Tennessee, but makes frequent trips to Louisiana, her home state. Debra has a variety of programs to offer schools. For younger children, she offers presentations on writing and preserving family stories. For older students and adults, she has presentations on historical research, using biographies in the classroom, and the Civil War. Rates:$100/half-day, $200/full day, plus expenses. Debra also uses Skype to visit with students. Email debrawsmith@dtccom.net for more information. Sharon Solomon, author of Cathy Williams: Buffalo Soldier, is a retired elementary reading specialist with more than thirty-five years of educational experience. She has multiple writing workshops for grades 3-6, including Nonfiction Writing, Fiction Vs. Nonfiction, and Different Points of View. Rates: $500/day, plus expenses. The author lives in Lansdowne, Virginia. For more information, visit http://www.sharonsbooks.net. Rose Anne St. Romain, author of Moon’s Cloud Blanket, has been a professional storyteller since 1982. Her many professional performances include appearances at the first annual Louisiana Book Festival, the New Orleans Jazz and Heritage Festival, the International Reading Association Conference, and Jimmy Buffet’s Internet radio program, The Stories We Could Tell. Rates for school presentations are available upon request. Ms. St. Romain resides in Mansura, LA. For more information, visit www.storydust.com. Joyce A. Stengel is an award-winning author of several books, including St.Patrick and the Three Brave Mice, and she is available for school presentations. Joyce will get your students involved in the story by doing a “Reader's Theatre” reading of her book with class participation. She’ll also define “legend,” explain the story of St. Patrick, and discuss courage and the value of teamwork. Joyce will give up to 4 presentations in a day (grades K-2), to up to 50 students at a time. Rates: $800/day, plus mileage over 50 miles from the author’s home in South Glastonbury. Joyce Stengel is only available for author visits in the state of Connecticut. Visit www.joyceastengel.com. Holly Stone-Barker, illustrator of Mama’s Bayou, The House That Witchy Built, and Blue Frog: The Legend of Chocolate, combines her illustration experience with her love of education by instructing art programs for school-aged children with the Arts Council of Greater Baton Rouge. For the past several years she has been an active member on the Baton Rouge Artist Roster. She says, “I enjoy sharing my knowledge and love of art with children, and in return the children give me fresh innovative ways to see the world.” Holly has programs for PK-12th grade. Rates: $250/half-day; $500/full day, plus expenses. The artist will do up to 5 presentations in a day. For more information, visit www.paperedmoon.com. Jane Sutcliffe is the author of over two dozen children’s . 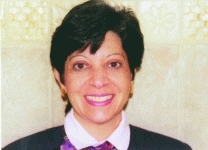 Her articles have been published in Highlights for Children, Boys’ Life, and Appleseeds. Jane loves to visit schools across the country, talking to students about how research can be exciting. Jane can create a custom-made talk for your class, or you can choose one of her popular programs. She lives with her family, their dog, goats, and cows in Tolland, Connecticut. Rates: $850 per day for southern New England (Connecticut, Rhode Island, and Massachusetts). Travel expenses apply outside this area. For more information, visit http://www.janesutcliffe.com. Peggy Sweeny-McDonald is the creator/producer/ editor of the hit show and book Meanwhile, Back At Café Du Monde-Life Stories About Food . She is a self-professed southern belle/drama queen, an actress/director and host of Savoring the Sweetness an internet food talk show nominated for a Taste Award. Taking inspiration from the shows and book, Peggy brings a fun interactive workshop to the class for all ages. After reading sections of the food stories from the book, the kids participate in "If I were a food what would I be and why?" and are encouraged to share a food story. Another presentation options is the 6-8 week program where students write, rehearse and perform their stories commencing in a festive full production of the Meanwhile... show for family and friends. Rates : $300 for a 3 class presentation or $400 for 5 presentations plus cost of gas if over 50 miles. 6-8 week workshops with production of show (tickets can be sold by schools) is to be determined depending on time commitment/ size of student group. Peggy resides in Baton Rouge, LA..
Mel Tarman, co-author of Toby Belfer Learns about Heroes and Martyrs, is available for school and library programs for grades 5-8. His book tells the story of Toby’s visit to Yad Vashem, the Holocaust History Museum in Israel, where she learns about the Righteous Gentiles, the Christian men and women who aided persecuted Jews during the Holocaust. Presentations focus on WWII, the Holocaust, and the heroes dicussed in the book. Rates: Mel Tarman does not charge for school, library, church, and synagogue appearances other than travel expenses. Contact us for more details. Peggy Thomas, author of Joshua the Giant Frog and Snow Dance, enjoys visiting schools, libraries, and workshops throughout the country. Her programs include Telling the Truth (a look at writing nonfiction), Tall Tales from the Erie Canal (especially appropriate for schools in New York State), and Writing for Children (a workshop that teaches the business of writing for children). She’d also be happy to tailor a program to meet your needs. Rates available upon request. Ms. Thomas resides in Middleport, NY. Visit www.peggythomaswrites.com for more info. Award winning author Una Belle Townsend is a retired teacher of 35 years . Her first book is about an ill-fated cow, Grady, and the town that saved her . Grady’s in the Silo is a charming story about patience and perseverance, and it is also the recipient of the IRA/Children's Choice Award. She is also the author of Racecar Driver’s Night Before Christmas , OFWI Juvenile book award winning The Great Elephant Escape and The Oklahoma Land Run which is used by countless schools and libraries when The Land Run takes place in April. Her programs include tips for young writers, reading one of the books, and a little Oklahoma history. Ms. Townsend’s rates are negotiable. She resides in Yukon, OK. Professor Richard Trout, acclaimed author of the MacGregor Family Adventure Series, has delivered over 200 school programs. For one hour, Professor Trout will mesmerize, inspire, and challenge your students to read by presenting a slide-show chronicling his career as both a field and marine biologist as well as explaining his research and writing techniques. Presentations highlight the biological, geological and historical aspects of Professor Trout’s books in an exciting and engaging way that will leave students, particularly reluctant readers, ready to dive into his novels! Rates available upon request. 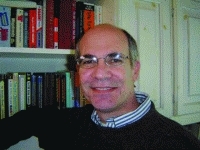 Professor Trout resides in Oklahoma City, OK. For more information, visit http://www.richardtrout.com. Beverly Barras Vidrine, author of Thanksgiving Day Alphabet, Halloween Alphabet, A Christmas Dictionary, A Mardi Gras Dictionary, Easter Day Alphabet, and St. Patrick’s Day Alphabet, teaches children not only about these holidays, but she also teaches about the words that define them. The power of words is a central theme of her presentations, which also include readings from her books. When speaking to fourth graders, she also discusses fiction and nonfiction writing. Ms. Vidrine is listed on the Louisiana State Artists Roster as an author and storyteller. Rates: $350/day plus expenses. Ms. Vidrine resides in Lafayette, LA. 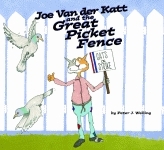 Joan Waites is the illustrator of over 45 books for the trade and educational markets. Titles for Pelican include Moon’s Cloud Blanket, The Waving Girl, Daniel Boone: Trailblazer, F is for Firefighting, P is for Police,and Monsieur Durand’s Grosse Affaire. Her debut title as both author and illustrator An Artist’s Night Before Christmas, will be published in 2017. School visits include a presentation on the art of creating illustrations to accompany a picture book manuscript. Students will be shown how an illustrator does research, creates thumbnails, completes finished sketches, and finalizes art for publication. Sessions will also include reading of a selected book or books and a hands-on writing and/or art activity. She is also available for Artist-in Residence programs. Rates are negotiable with the illustrator. Ms. Waites resides in Silver Spring, MD. Visit www.joanwaites.com or contact jwstudio@msn.com for more information. Christina Wald is the illustrator of Annie Jump Cannon, Astronomer. Christina loves traveling to schools and libraries to share the life of an illustrator with students. Presentations are appropriate for K-6. She lives in Cincinnati, OH. Rates: $150/presentation or $250/half-day (2-3 presentations), $400/full day (up to 6 presentations), plus expenses. For more information, visit http://www.christinawald.com/. A former Kindergarten teacher, author Nancy K. Wallace is a full-time Youth Services Librarian, which she describes as “the best job in the world.” As a librarian and storyteller, she works with thousands of children in the over 200 programs she does each year. Nancy has programs for pre-school and elementary students and also conducts workshops for high school students, teachers, and librarians. Rates: $300/presentation; $400/half-day; $600/full day, plus expenses. Nancy lives in Ellwood City, PA.
Greg Watkins is a successful writer and speaker who loves educating and entertaining children at school visits. His book, A Big Beaked, Big Bellied Bird Named Bill, has been featured on Dr. Laura Schlessinger’s radio program as a fun book about dealing with bullies, making friends, and adapting to new surroundings. Greg Watkins’s interactive presentations focus on bullying, making friends, and how he achieved his dream of being a writer. Rates: $450/visit plus expenses (up to 3 programs). Greg lives in Sarasota, FL. For more information on Greg Watkins, visit his website at www.bigbillandbuddies.com. Peter J. Welling is a writer and illustrator from Indianapolis. He is a member of the Society of Children’s Book Writers and Illustrators. His illustrations have been nominated for a Pushcart Prize, and he is the recipient of the Publisher’s Choice Award for Exemplary Non-Fiction. He was awarded Indiana University's School of Continuing Studies Teaching Excellence Award for 2005. His titles include Shawn O’Hisser, The Last Snake in Ireland, Andrew McGroundhog and His Shady Shadow, Michael Le Souffle and the April Fool, Justin Potemkin And The 500 Mile Race, Joe Van Der Katt and the Great Picket Fence, and Darlene Halloween and the Great Chicago Fire. Rates are $400/half-day and $800/full day. For more information, visit http://www.peterjwelling.com.